Does size really matter? It’s a provocative question with no good answer, or at least not one that can be applied with any consistency across different situations. In context of watchmaking at least, it seems as if the size camp has the advantage. You can argue all you want about using space wisely instead of going for the easy solutions, but here’s the bottom line. 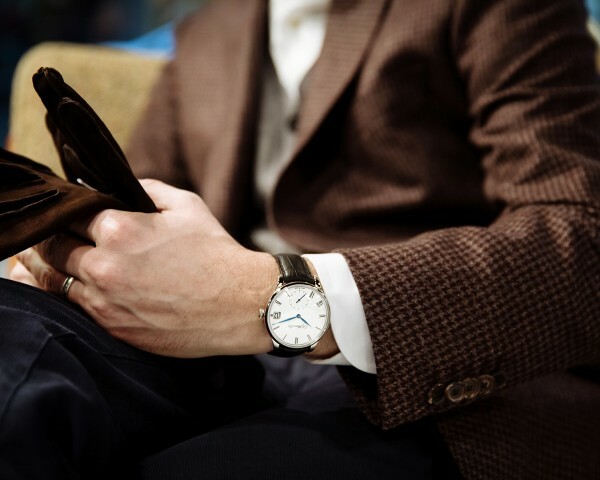 If you’re relying on your watch to give you information quickly and reliably, small isn’t going to cut it. Not even close. If your watch is not in fact a source of information and is an object of artistic expression then perhaps different rules apply, but we really don’t have to go into that right now. In fact, this is why I have a bit of a vendetta against simple calendar functions in watches. No one ever bothers to set them, they are hard to read, they pretty much just sit there sucking up energy every 24 hours, and in plenty of situations they do not improve the aesthetics of the watch a single iota (in fact they do the opposite in the majority of situations). About 99 percent of the time, the simple calendar date display is the horological equivalent of the coffee grinder/vegetable juicer/pasta maker sitting on your kitchen counter, reproachfully making you feel guilty every time you look at it. If you’re going to get a watch with a date function, for heaven’s sake make sure you can at least read it without busting a capillary in your eye. And, really, you should think about making it an annual calendar at least, if not a perpetual calendar. Otherwise just forget the date completely. It’ll save you a bit in most cases. I recently had the good fortune to discover the H Moser & Cie Venturer Big Date, launched with the tagline “Size Matters” and a video whose making was marred by my frequent outbreaks of nervous laughter at inconvenient moments. Nevertheless, here it is. The Venturer was launched in 2014 and I’ve always found it to be a deeply appealing design, due to its large, clean dial, cambered dial crystal and pared down case profile — to me it communicates purity of purpose and focused dynamism, especially in the way the dial and crystal subtly project forwards towards the wearer. 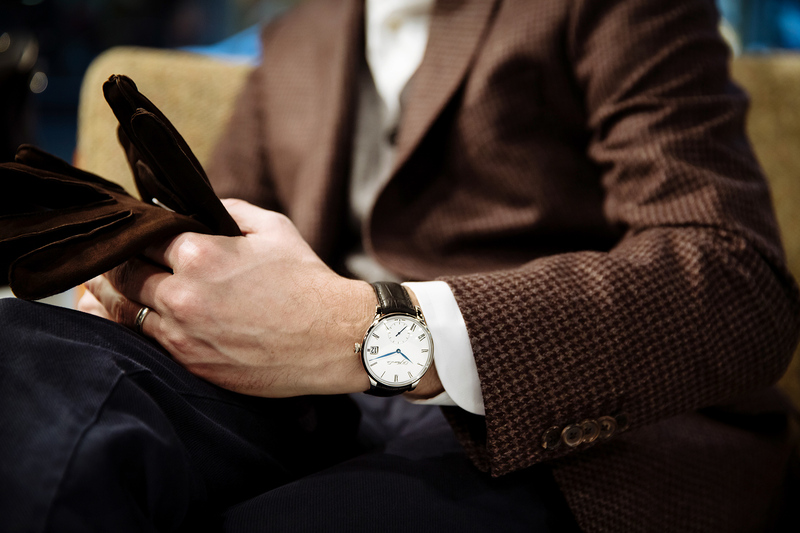 The big date is perfect for this watch, in every single way. 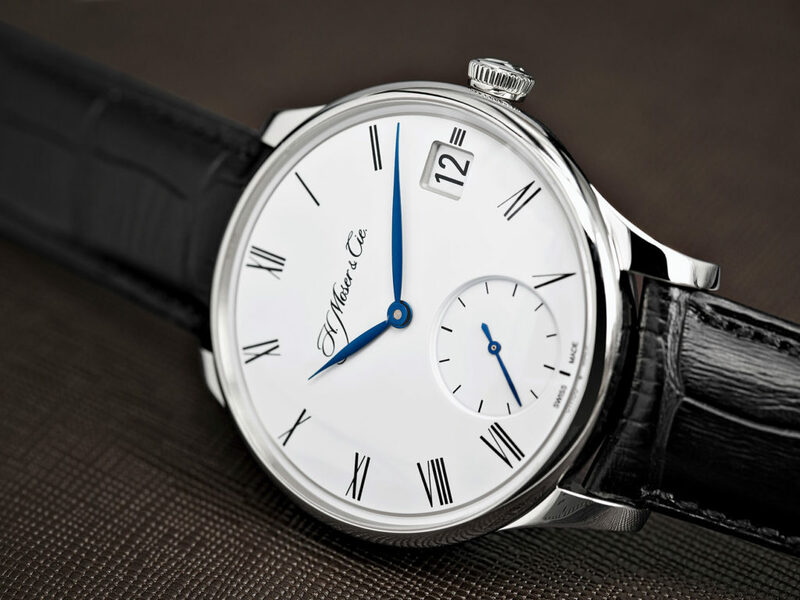 H Moser & Cie’s exceptionally clear and easy-to-use date has always been a part of what they do. It’s entirely due to my inexcusable lack of research in this area that has kept me from fully appreciating this elegant, compact system before now. I’ll be going further into exactly how it works in a follow-up article about their manufacture, which I visited last week (spoiler alert: it’s the bomb). In the meantime, just know that the date display follows a perpetual calendar system of indicating the correct date whether it’s a month of 28, 29, 30 or 31 days. It changes instantaneously at midnight, can be adjusted forwards or backwards easily, and is pretty much unbreakable, play with it howsoever you might. Did you know that before? I didn’t (shame on me), but I sure as hell do now. 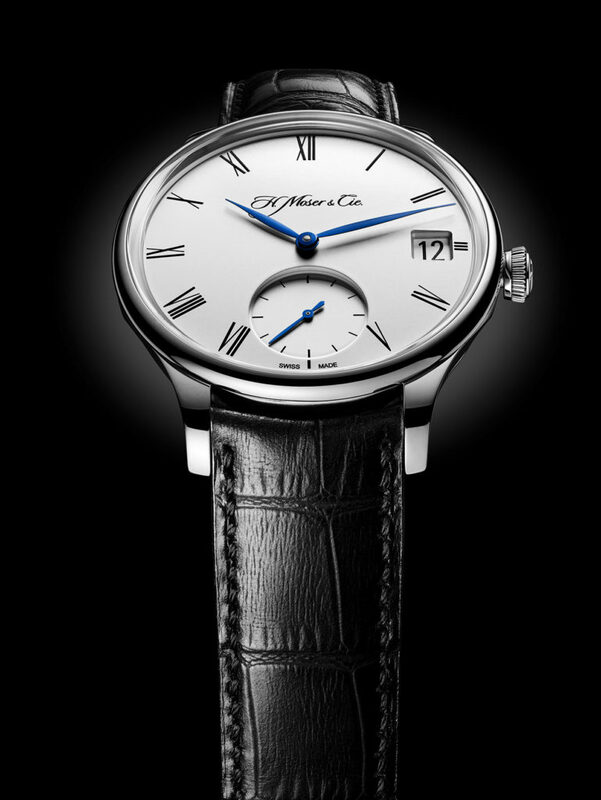 The new H Moser & Cie Venturer Big Date in white gold, with two dial variations — white lacquer and dark blue fumé. 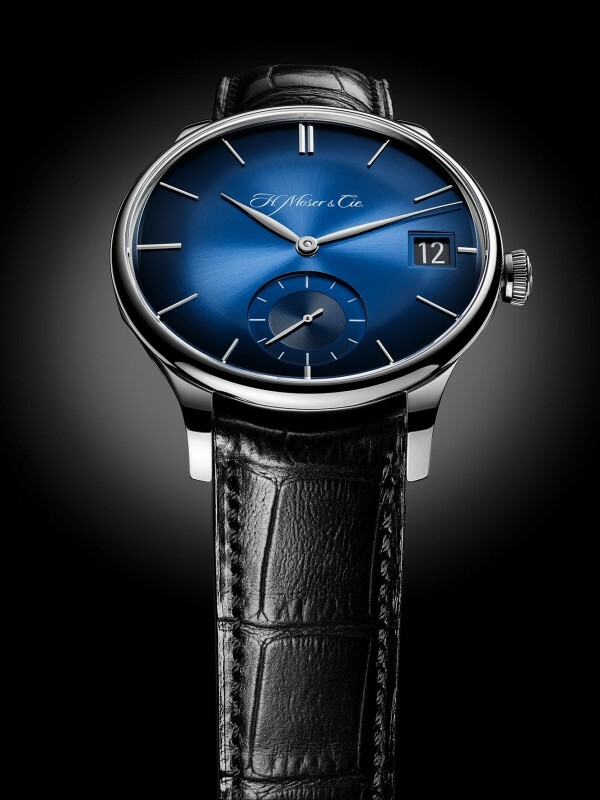 As philosophically opposed as I am to blue things (exacerbated by having to wear blue school uniforms for 10 years of my early life), it must be admitted that the depth and range of colour in Moser’s blue fumé dials is pretty stunning. 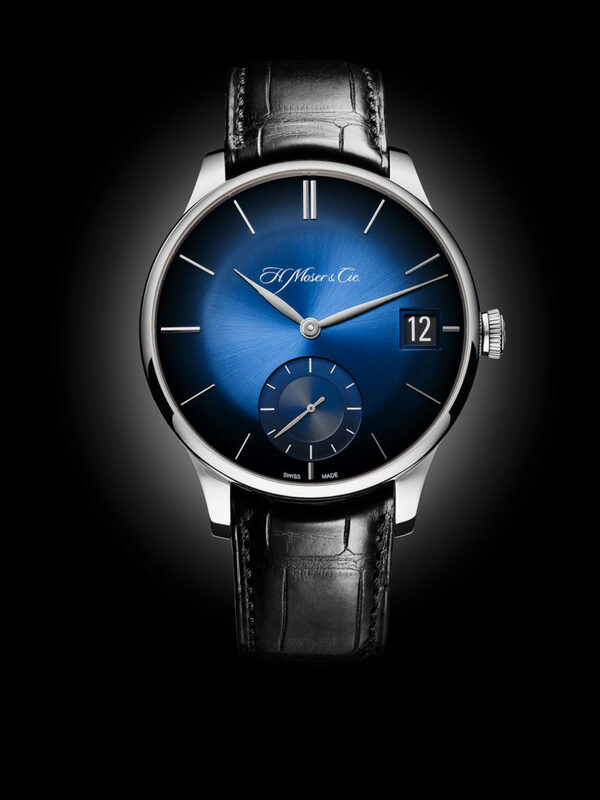 If you happen to see Laurent Picciotto of Chronopassion around at Baselworld (or anywhere, really), ask to see the blue fumé dial on his own Moser. Or maybe don’t — it’ll ruin you for blue dials for the rest of your life, I promise. The multi-layered design of the dial is expressed in different ways with the two versions of the Venturer Big Date. 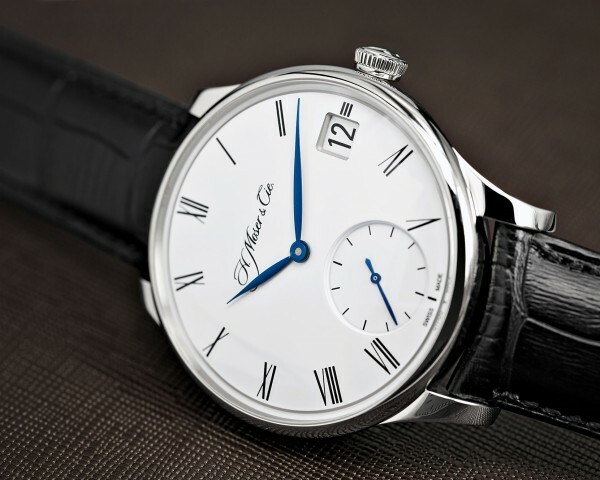 The blue fumé dial makes greater use of textures to convey variation in the different spaces of the dial, whilst the white lacquer dial makes bolder steps in terms of actually defining the levels at different points of the dial. Right, now. Less talky, more pictures. 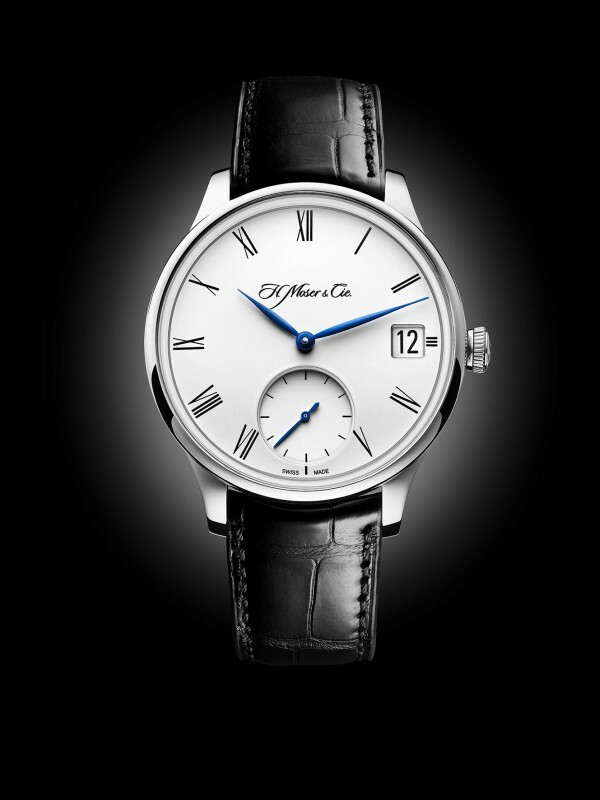 Midnight-blue fumé dial with applied baton indices or lacquered white two-level dial with Roman numeral indices. 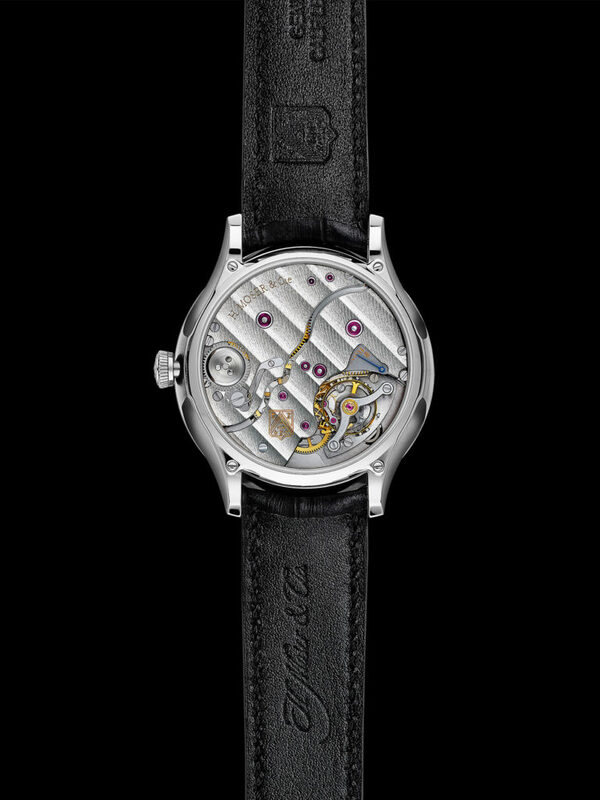 In-house, hand-wound calibre HMC 100, 18,00o vph (2.5 Hz), 31 jewels, proprietary Double Pull Crown mechanism, proprietary Flash Calendar mechanism indicating perpetual date, stop seconds, in-house Straumann hairspring with Phillips terminal curve in Moser modular escapement, minimum 7-day power reserve (up to 10 days), power reserve indication visible through caseback.